Alter this line to some other port number above 1024. Making use of a port number above 1024 averts scans such as nmap choosing up SSH. Next we have to to make use of extra secure SSH 2 protocol. On the line below the port number, assign the protocol to 2. When to make an attempt to login through ssh access, you will have to describe the custom port number. In the illustration given below, the custom port number has been assign to 4874. SFTP is much more secure than FTP because it make use of the SSH protocol. Secure Shell access should be permitted to each and every Plesk user for every account. From the setup page choose /bin/bash below the Shell access to web server with FTP user’s details. The particular user will hereafter allowed to login over SFTP. 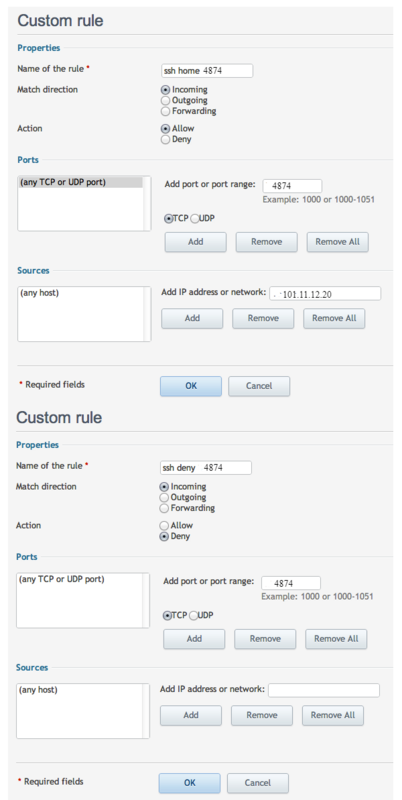 Don’t forget to modify the port number in your FTP client if you modified the default port as stated above. If you are confident you do not wish users to login on to standard FTP, you may too block this port via the Plesk’s firewall module. For more details check the screenshot given above. Given above are few of the best steps that will strengthen the security of your Dedicated Server.